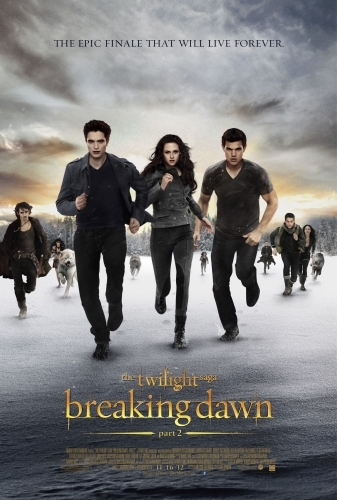 Bella (Kristen Stewart) awakes — as a vampire — from her life-threatening labor, and her newborn daughter, Renesmee, proves to be very special indeed. While Bella adjusts to her new state of being, Renesmee experiences accelerated growth. When the Volturi learn of the baby’s existence, they declare her to be an abomination and sentence the Cullens to death. Bella, Edward (Robert Pattinson) and the rest of the clan seek help from allies around the world to protect their family.